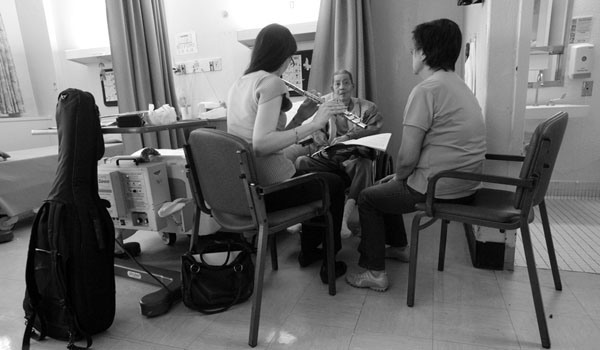 Every week, three music therapists from MJHS Hospice and Palliative Care crisscross the city and suburbs to sing songs to the dying. 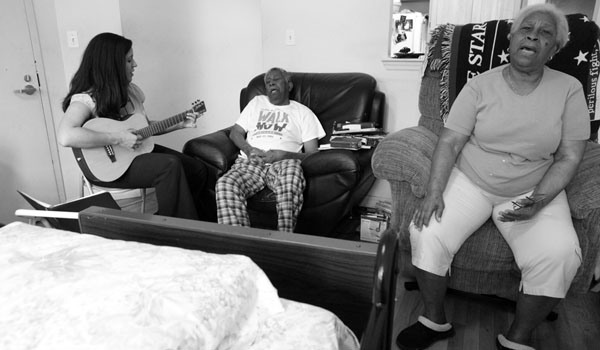 With guitars strapped to their backs, a flute or tambourine and a songbook jammed in their backpacks, they play music for more than 100 patients, in housing projects, in nursing homes and even in a lavish waterfront home. 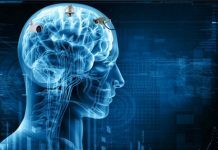 The time for chemotherapy and radiation is over. 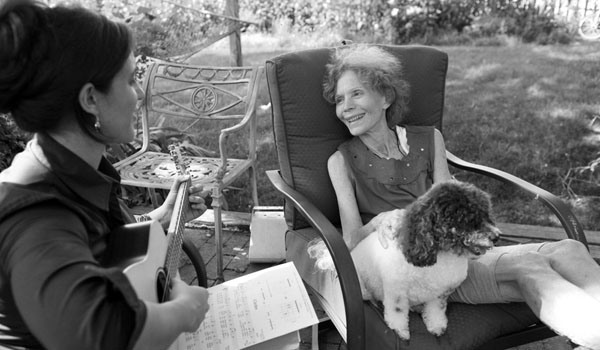 On Tuesdays in the Bronx, Yelena Zatulovsky, a music therapist, plays songs for Millicent Williams, 94, who came to the United States from Jamaica as a young girl, and now is dying of colon cancer. 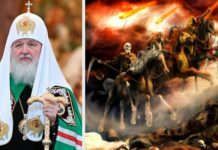 The music begins: a song to hold death at bay, a song to embrace death, or to praise God. A Vietnam veteran asks for a song in Vietnamese. One man asked only for songs with death in the lyrics, to force his family to talk to him about the future. 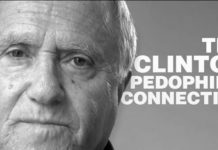 He was ready to talk about it. They weren’t. So the therapist sang Queen’s version of “Another One Bites the Dust.” “Amazing Grace” and other spiritual songs are most often requested just before death. Ms. Wilson’s son, Mark V. Wilson, a videographer and music producer, stopped working to care for his mother. 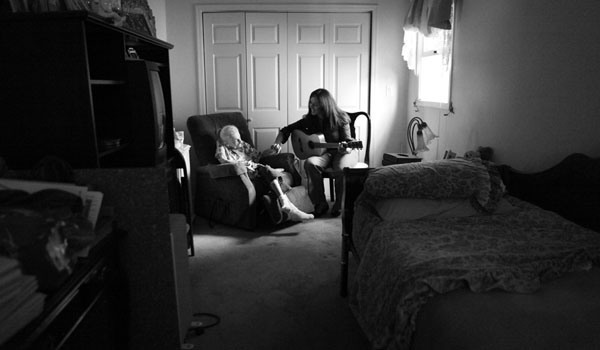 He requested music therapy for his mother. A therapist, Charla Burton, visits to sing hymns with Mr. Williams and his wife of 61 years, Daphne, 79. “The Lord has kept me and I am very grateful,” Mr. Williams says. “With the backup of my wife. She holds on to me.” Both were born in Belize, and their songs, part of their spiritual practice, have a joyful Caribbean lilt. 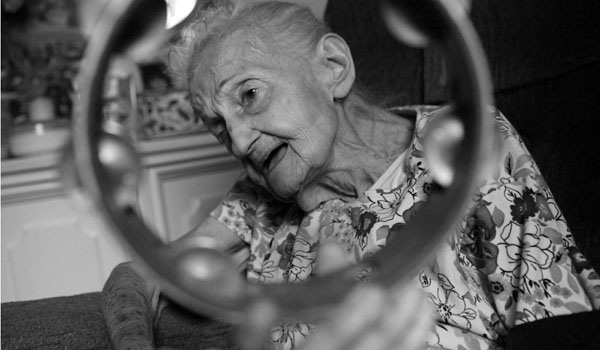 For the last four months, Charla Burton, another therapist, has been visiting Rose Vuolo, 86, an Alzheimer’s patient. 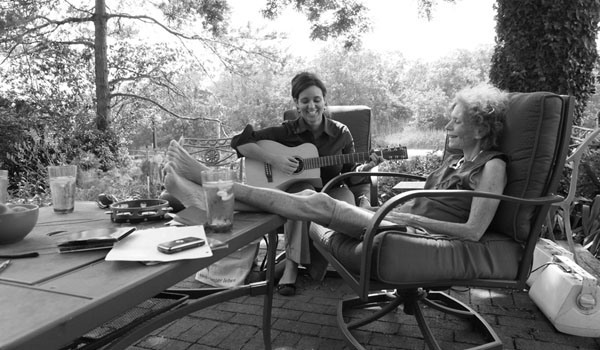 Merle Gross, age 73, a breast cancer patient, with Charla Burton in her backyard on the South Shore of Long Island, in Oceanside. In Oceanside, N.Y., Merle Gross, 73, is dying of breast cancer. Sitting beside an ocean inlet, she and Ms. Burton make selections for a songbook she wants to leave behind. If there is time enough, it will include songs for every member of her family, all the people she loved and her dog, Shayna. 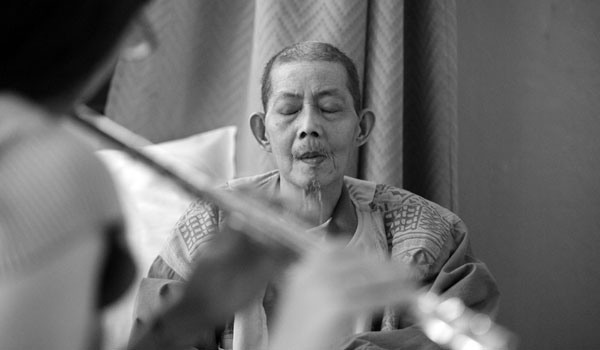 In a nursing home in Chinatown, Meredith Traver plays ancient Chinese folk tunes on the flute for Kai Sui Fung, 60. He is dying of lung cancer. One of the youngest patients in the program, Cecilia Havre, has a genetic defect, Trisomy 18; half those born with this disorder do not survive beyond the first week of life. The baby smiles at her mother, Chantel Vazquez, and her father, Eddie Havre. Cecilia is deaf, but the music soothes her parents. Cecilia is thriving in hospice — or end-of-life — care and may be moved to palliative care, where treatment may be incorporated. 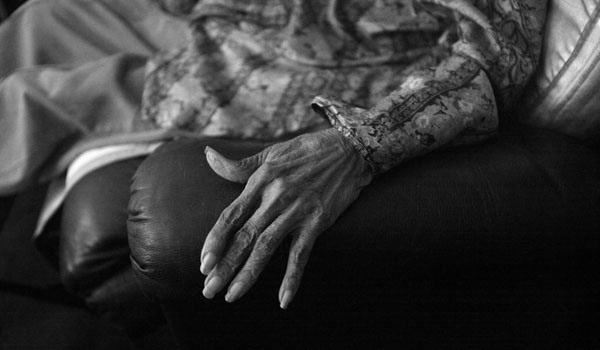 Ms. Burton visiting James D. Williams, 85, at his home in Brooklyn. He is terminally ill with prostate cancer. He and his wife of 61 years, Daphne, both love to sing hymns. Rose Vuolo listening to the tambourine. Rose Vuolo, 86, an Alzheimer’s patient on Long Island, has had visits from Ms. Burton for four months. Rose rarely speaks. “She has gotten progressively worse,” says her grandson, Paul Motisi. “It’s become constant confusion.” Except sometimes when Ms. Burton visits. Ms. Burton plays the Cole Porter song “Begin the Beguine” — the lyrics of which even Cole Porter said he could not remember without the sheet music. Yet on a good day, Rose sings along, with perfect pitch and range. It was the song she and her husband danced to at their wedding. Charla Burton plays songs that Merle Gross wants to put into a songbook she is creating for her family and friends. 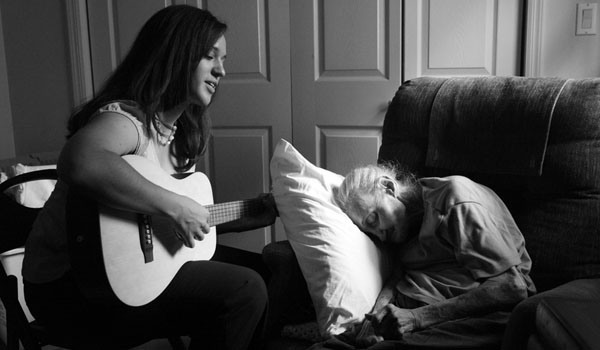 She hopes to leave a song for each person she has loved, and her dog. 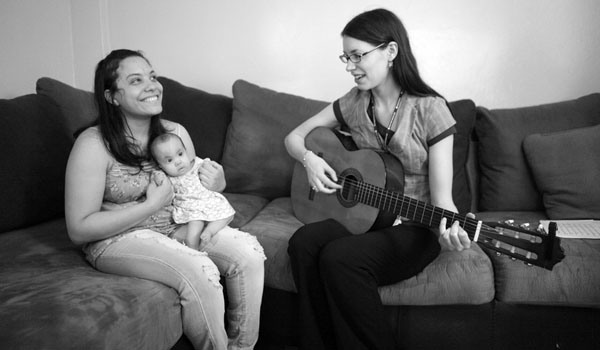 Meredith Traver playing guitar for 6-month-old Cecilia Havre and her mother, Chantel Vasquez. 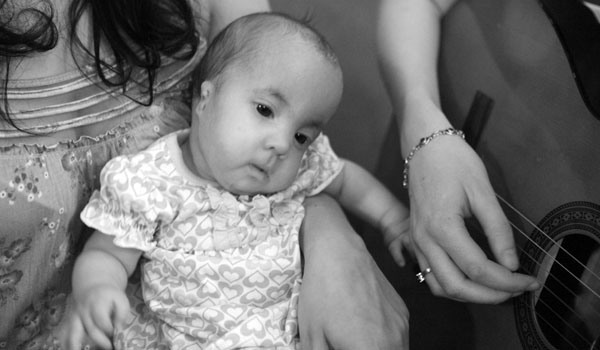 Cecilia has a genetic disorder called Trisomy 18, which claims half its victims before the first week of life. 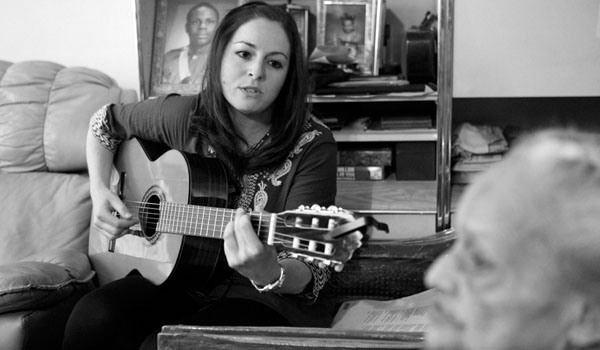 Cecilia smiles when her music therapist plays, but she is deaf. She is, however, thriving in hospice — or end-of-life — care and may be moved to palliative care, where treatment may be incorporated. Millicent Wilson, 94, who is dying of colon cancer in the Bronx, stopped singing after her husband died and she got sick, says her son, Mark V. Wilson, who stopped working to take care of her. But because of her music therapist, Yelena Zatulovsky, his mother is singing again.